I'm sad to say that I have my baby up for sale. 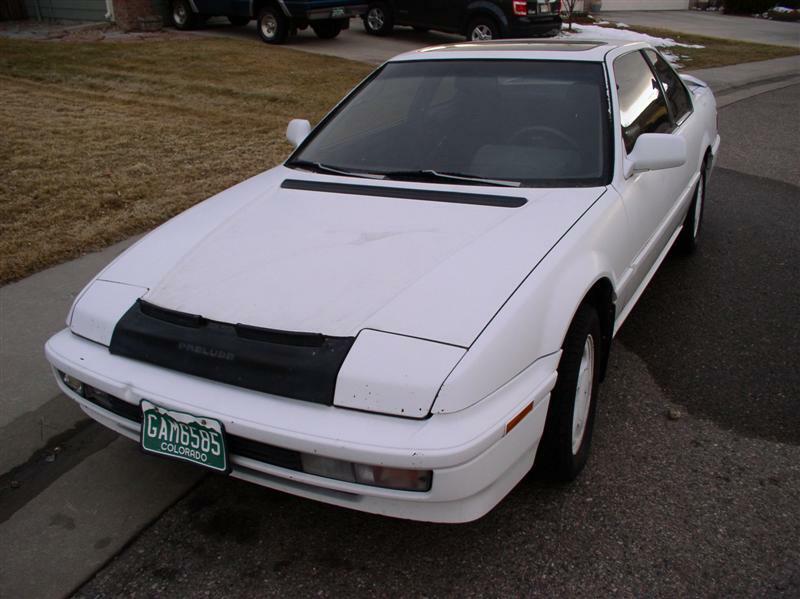 It's a 1991 Honda Prelude Si 4WS, whiteout trim package with 177K miles and a blown(?) motor. I am the second owner - had it since '94. Title's clear, 0 problems passing CO emissions, never been wrecked but has had a fender-bender and a bit of road rash, as evidenced in pics. It starts up just fine, but the motor makes a terrible clacking noise - I'm assuming a spun bearing, but I'm not enough of an expert to say for sure. Other than the motor, everything else works great as of the last time I drove it. 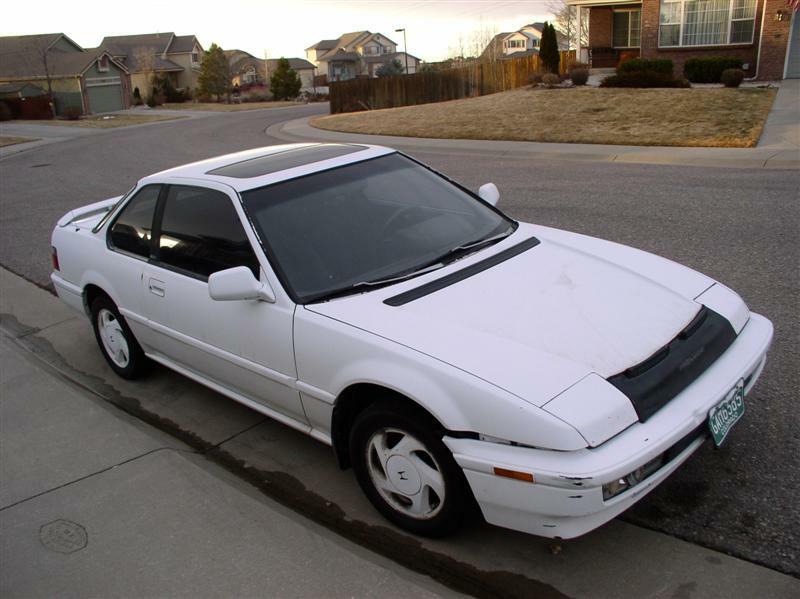 I'd love to get a JDM engine in it and get it back on the road, but I just don't have the time to devote to it. So if you're looking for a 3rd Gen project car that's TONS of fun to drive, here's your chance to own one. 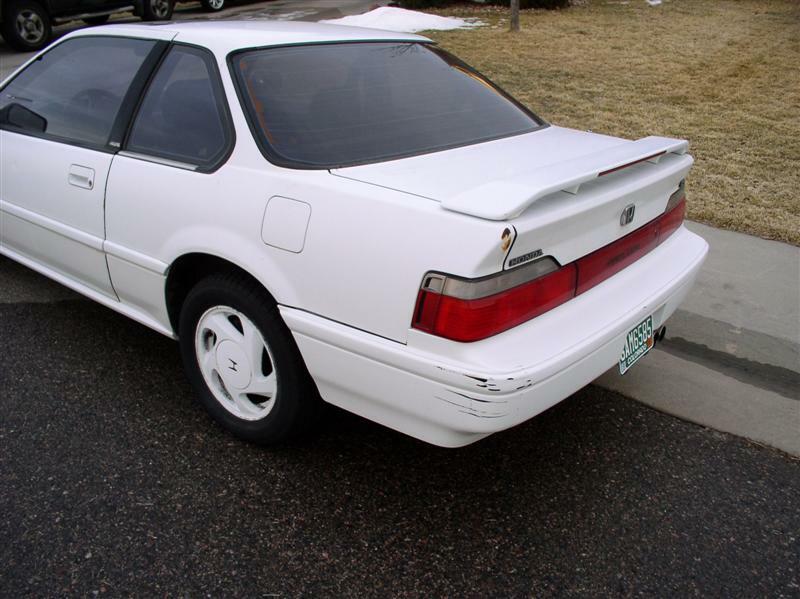 4-wheel steering 'ludes are harder and harder to come by and I hate having to sell it, but the wife says I can't have four cars in front of the house. If I don't get any takers in the next week, I'll be forced to have it hauled off by one of the charity outfits for the tax write-off. 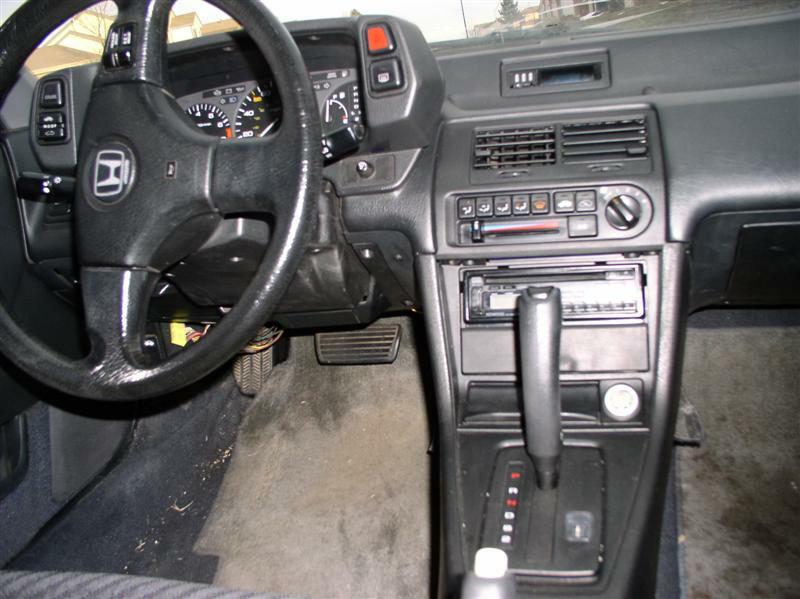 Honestly, I'd much rather it go to a 'lude enthusiast. Last edited by BradWaite; 22 Jan 2009 at 07:15 pm. You still got the lude? How much $ you looking for? u r humor ,your car's carrying capacity is two people .a little small!